I've posted before about how slow I am at knitting, but I should note that I am getting quicker, and am actually on track with my projects right now (yippee!). In the past, I have intended to give gifts to newborns, and it turns into a second birthday gift. But I have had a number of successes now where I meet my timeline goals and actually present a homemade gift to a new baby. And that feels good! This first blanket is one of my favourites! 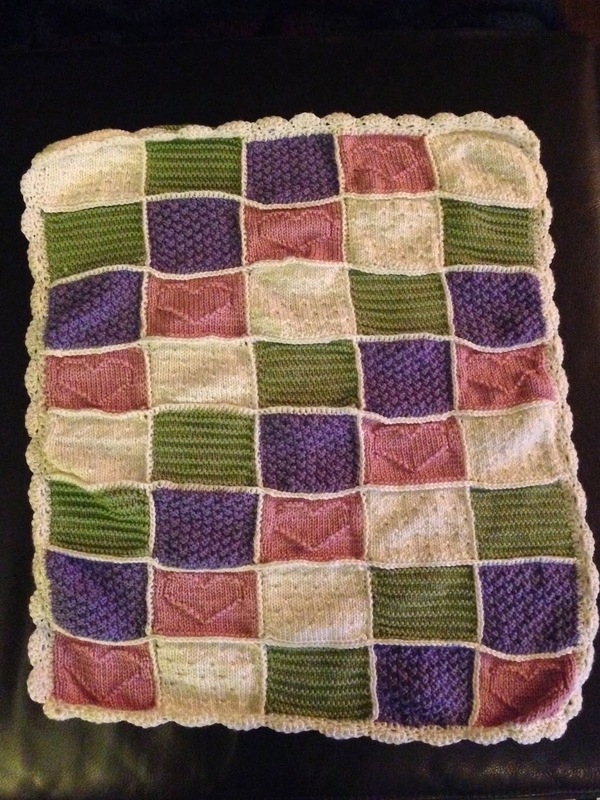 I love the patchwork look, the colour combo, the textures, and the cute scalloped border. I made it for one of my favourite cousin-in-law's new baby. I knit each square individually, then attached them all with a single crochet and finished it with a crochet scalloped border. The yarn I used was super soft, so the whole blankie is just so cozy! 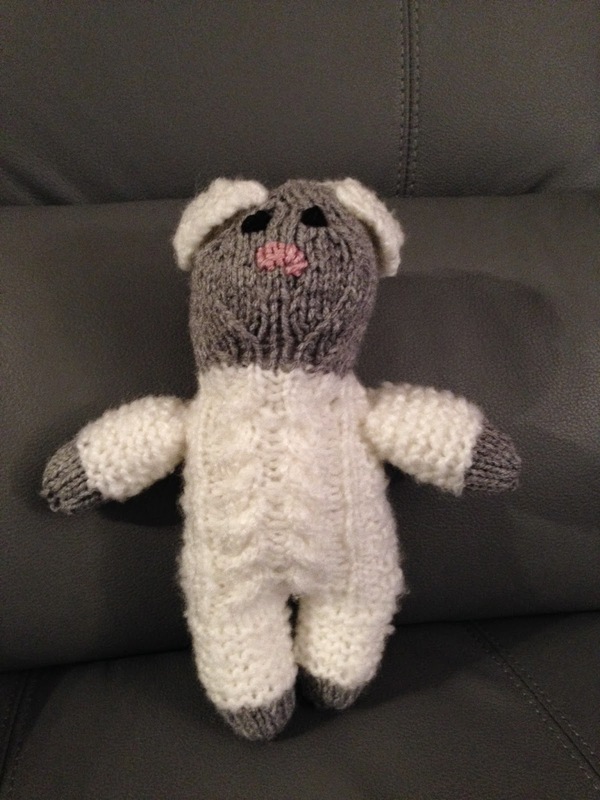 This little lamb friend I made for my cousin's first baby. I made in just a couple evenings, and I think she is adorable. Who doesn't love a cute, cuddly lamb?! I love working cables, it is so interesting seeing them come together. I used a bulky, fluffy white yarn, and I think it worked well to make the lamb look more "fleecy". I embroidered the face (which I think I need a lot more practice on!). If you like this lamb, you can find the pattern here. This last blanket I just gave to a sweet little girl born just a few days ago! She is a tiny little gal, so this light and lacy blankie is perfect for her. It was knit corner-to-corner, which was a good experience for me (I'm not the hugest fan of casting on a ton of stitches-when I saw "CO2 st" in the pattern, I jumped for joy!!). 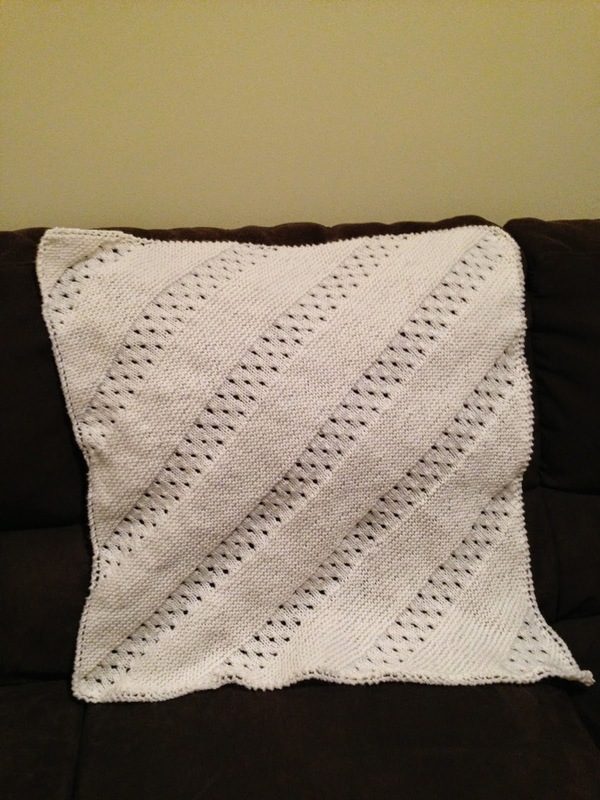 I used a soft baby yarn for this one, in a bright summer-time white. I love getting to give a homemade gift to a fresh new baby. 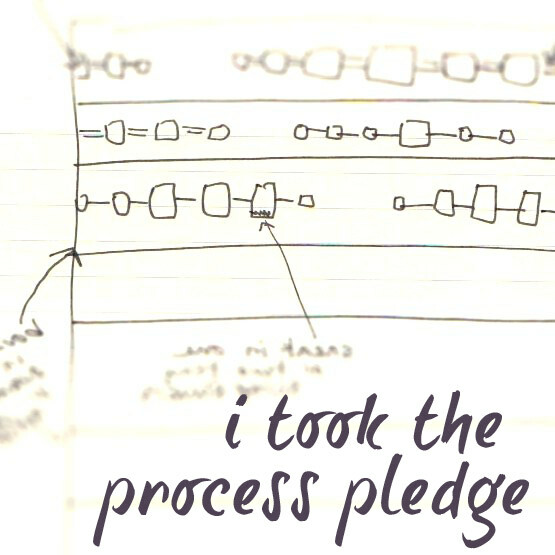 I love selecting projects with an individual baby in mind, and I love pouring all my love into making it. Babies are just so special, and deserve a special welcome to the world!